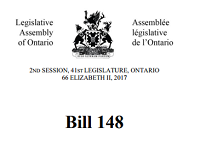 Bill 142, the Construction Lien Amendment Act, passed third reading unanimously on Tuesday December 5, 2017. This is great news for the construction industry and could not have been done without the hard work, support and dedication of many; including members of Prompt Payment Ontario, Bruce Reynolds, Sharon Vogel, Minister Naqvi and all other MPPs. Bill 142 was first introduced this past spring and was worked on tirelessly over the remainder of the year, always remaining a priority on the legislative agenda. 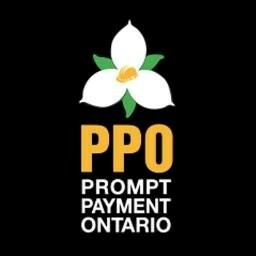 Having attained royal assent before the house adjourns for the season now promises a new year where the 400,000+ workers of Ontario's construction sector will begin to see the effects of a prompt payment system that looks out for their livelihoods. The bill will also bring added adjudication measures that will significantly reduce payment delays, which have been identified as the biggest barrier to investment, improved productivity, and increased employment in the construction industry. Joining us at our 2018 Conference in Barcelona is renowned keynote speaker Mark Bowden! Superior communication skills are key to success, and no one enlightens and empowers others with these skills more effectively than Mark Bowden. In this high octane interactive keynote, Mark will teach you the body language techniques to make you stand out from the crowd, inspiring others while building trust and credibility. Mark takes the audience on an exciting journey to understand how “It’s not often what you say – but how you say it that gets results!” Bowden, renowned trainer to Fortune 500 CEOs and G7 political leaders, demonstrates how perceptions can be completely altered by a simple gesture or action. 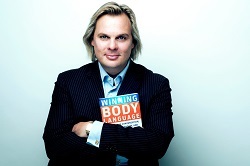 He trains the audience, just as he does his elite clients worldwide, in simple yet effective techniques to create the ideal communication in the most crucial situations - invaluable for life and business. Some provisions do not impact those of you with employees who are covered by the Principal Agreement, and certain provisions have language preserving collective agreement language even if the legislated changes provide a greater benefit. As you may know, ECAO members have free access to TeksMed, a firm offering a unique WSIB claims management solution to all members that’s proven to mitigate lost time and its effects with a focus on employee health and ability. This WorkAbility program has benefited employers across Canada for over 20 years and ECAO members directly since 2009. Their effective approach includes claims management, ability management (safe and early return to work), health management (Quikcare services), including paralegal representation during appeals. Did you know that the WSIB landscape on mental stress claims is changing? OEA is facilitating a Chronic Mental Stress Webinar on December 14, 2017 at 10:00 a.m. The Legislature has amended the Workplace Safety and Insurance Act to allow entitlement for chronic mental stress starting in 2018, which will have a significant impact for employers. Michael Zacks will explain the amendments and tell you what you need to know so you can be ready for the upcoming change. The Ontario provincial government announced it is evaluating the effectiveness of its mandatory Working at Heights (WAH) training standards aimed at preventing fall incidents at construction sites. After the review is complete, the Ministry of Labour (MOL) will analyze the results of the evaluation to determine whether any changes to improve the effectiveness of the WAH training initiative are needed, the statement indicated. Between Jan. 1 and Oct. 31, 2017, 40 workers died in incidents on the job. Eleven of those fatalities were due to falls, the statement said. Compass is WSIB’s new online health and safety tool. For the first time, Ontarians can find and compare health and safety statistics for businesses across the province. Compare health and safety statistics for up to five different businesses at one time. You can check out health and safety statistics for your own workplace or a potential employer. November 20, 2017 — Justin Smith, an electrical contractor from Burlington, Ont., has been convicted of unfair practice under Ontario’s Consumer Protection Act. In early July 2014, Smith, operating as D&S Electrical Contractors, provided a consumer with an estimate of $10,982.71 to supply and install a generator. In late July, he accepted and provided a receipt for the consumer’s $7,500 deposit. Work began in early August and stopped in early September, but the generator was not delivered or installed. The work that was done included: installation of a small concrete slab, two exterior conduits and two exploratory holes in the basement drywall. The work was never completed. In September 2017, the Ontario Court of Justice in Milton, Ont. ordered Smith to pay $7,500 in restitution to the consumer, and imposed a two-year probation with terms of restitution, a reporting requirement and reporting an address change. Consumer Protection Ontario suggests deposits should be no more than 10 per cent of the estimated cost. Work in construction? Download a free, new app designed to provide Ontario workplaces with an understanding of the Construction Projects Regulation. The guide provides information on 50 topics, from personal fall protection systems to scaffolds and electrical hazards. The app was designed by the Infrastructure Health & Safety Association in partnership with the Canadian Centre for Occupational Health and Safety. IHSA has developed a website that provides access to over 10,000 items including legislation, standards, Ministry of Labour (MOL) blitzes, fatalities, inquests and MOL convictions. It’s a great resource for useful health and safety information.